Clever Minds Learning Center opened its doors in June, 2004. Since then, we have assisted over 7,500 students in Truckee, North Tahoe, Incline Village, and the Bay area with their learning. Students in grades kindergarten through 12th attend our center for a variety of reasons. We have students who need assistance with homework or study skills; require individualized reinforcement of classroom concepts; desire an opportunity to enrich their curriculum with challenging academic activities; seek individualized assistance with language arts and math due to learning disabilities; are home-schooled and seek a private teacher; or are competitive athletes and require an alternative form of education due to traveling; or courses for high school credit. 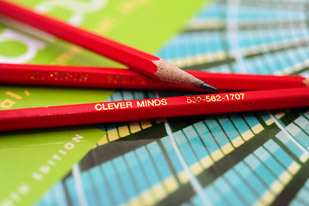 Clever Minds uses a holistic philosophy. We use non-traditional methods to teach traditional skills. While using a variety of teaching curricula, assessments, and games, goals are created according to the Common Core Standards for the student’s grade level. We also take the time to get to know our students. As a student signs up for tutoring, we collect information from parent, student, and teacher questionnaires. With each tutoring session, students meet one-on-one with the same teacher. This creates a safe and consistent learning environment for all of our students. We are located in a comfortable house with six work spaces for quiet, focused learning. We strive to make our learning environment as student friendly and relaxed as possible. Clever Minds employs experienced and credentialed classroom teachers who teach students in the Tahoe Truckee Unified School District, Washoe County School District, Sugar Bowl Academy, Lake Tahoe School, and Forest Charter School. Many members of our staff have furthered their education and received Master’s and Doctorate degrees. We feel incredibly fortunate to have such talented, energetic educators who are dedicated and excited to teach. Embarking on our fifteenth year as a learning center, Clever Minds has established itself as a successful business in downtown Truckee, providing quality supplemental education with a high success rate. Receiving accreditation from the Western Association of Schools and Colleges (WASC) opens another door of opportunity for students. We are thrilled to offer courses for credit for our high school students. Having the opportunity to educate students in the Tahoe Truckee community has allowed us to fulfill our dream and mission of providing another learning environment that boosts student achievement. We whole-heartedly thank our current and past families, local schools and businesses, and community members for their support. We are looking forward to another great year educating our local students! Vicki Isacowitz is owner of Clever Minds. She is a secondary English teacher who has educated students since 1995. Vicki graduated from The University of Vermont with a Bachelor’s degree in Secondary Education and English and her teaching credential. She specializes in writing, literature, study skills and college application/essay assistance. Vicki has taught in local private and public schools including Squaw Valley Academy, Prosser Creek Charter School, and Forest Charter School. Vicki is co-founder of Positively Rolling, the Eco Challenge Coordinator for The Shane McConkey Foundation, and formally a board member of Tahoe Truckee Unified School District, Tahoe Institute for Natural Science, and The Sugar Bowl Foundation. She formerly wrote an educational column seen in both the Tahoe World and Sierra Sun newspapers. Although Vicki mostly teaches teenagers, she has 26 years of experience working with kids of all ages.